Proper Nutrition in Preparation and While on Hajj. – NATURES' FIRST PATH: HOlISTIC MEDICINE. Proper Nutrition in Preparation and While on Hajj. Posted on August 19, 2015 August 16, 2016 by Natures First Path: Holistic Nutrition. Within one month people from all over the world will be gathering to flock into the city of Mecca, Saudi Arabia to complete the(ir) 5th pillar of Islam. While the sole purpose of the Hajj is first and foremost to be done simply for the pleasure and act of pleasing Allah (s.w.t), this is an act in which all your physical faculties are used. Being that you are using all of your physical faculties, it goes without saying that keeping your body in good shape in preparation and while on Hajj is a good idea; to remain focused on the task at hand which is completing the rites of Hajj. The city of Mecca is very hot and arid for the most part; I would say that it compares to the heat of Arizona or parts of Texas, except for the fact that the elevation is very different. With that said, the best way to start preparing for Hajj physically is to begin walking at least 2 to 3 miles daily 5 days a week; if you don’t do that already. Running is great for the health in general, but for the purpose of preparing for Hajj, steady and consistent walking is recommended. Although Mecca’s terrain is very mountainous and tracky, you will be more than likely walking on smoothed and paved ways. Even though this is the case, the point of the walking workout is for you to build up the proper stamina. Concerning nutrition beforehand, it is a good idea to get used to snacking on nuts, seeds and dried fruits including dates. These foods are an excellent source of protein, vitamins and minerals to keep your body in top nutritious condition while completing the rites of the Hajj. 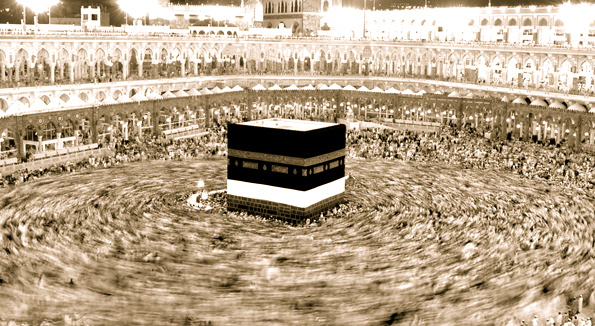 The main steps to the Hajj are as follows: Arriving from your Miqat (place of departure), 7 Tawaf and Kabba in Masjid Al-Haram, Arriving in Mina, Arriving in Arafat, Gathering the stones at the plain of Muzzdalifah, stoning of the Jamrat (Pillars where Shaytan tempted Prophet Abraham (a.s.), completing the 7 Tawaf at the Kabba (House of worship built by Abraham (a.s.) and his son Ishmael (a.s.)) completing the Sai circuit (running of Hagar with baby Ishmael a.s.), Drinking from the well Zam-Zam, going back to Mina, getting the head shaved (one hair lock clipped for women) and completing the Qurban. While this may seem like simple steps to complete (which they are for the most part), you want to make sure your body, mind and spirit are in top condition to be able to handle the duties and requirements of the Hajj. Due to the extreme heat, naturally one of the most common health concerns that people experience is dehydration. Combat dehydration on Hajj by consuming plenty of: cucumbers, apples, oranges, watermelon, peppers, green tea, bananas, salads and strawberries. You will find many of these foods available while on Hajj. 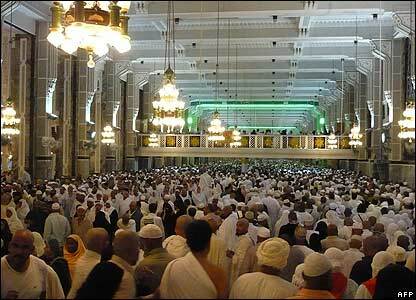 Another common physical distraction that people experience on Hajj, is muscle pain and spasms. This is a combination of both dehydration and inflammation. We already discussed foods to treat dehydration; the foods that can help deal with Inflammation are: Turmeric powder mixed with tea and one half teaspoon of black pepper, aloe gel (Sabir or Sabar in Arabic: ask for it in the local grocery stores), leafy green salads, cayenne powder, lemon juice and Black Seed oil. You can find these items while on Hajj, in both Mecca and in the city of Medina. Finally, another big distraction that people experience there isn’t so much a physical one but rather a mental one: Fatigue. It can be challenging to keep a cool head when you have up to 3 million people trying to do the same thing that you are doing in the area of a humbly sized city such as Mecca. Going with the intention of being patient with yourself and others goes along way and will make your Hajj experience all the more pleasurable inshallah. Conscious breath mindfulness while doing the Hajj rites keeps the fight or flight stimuli down, keeping you in a more relaxed state. To combat fatigue while on Hajj consume high iron and magnesium based foods like: Maca powder, cacao powder, bananas, flax seeds, pumpkin and squash seeds, kale and cabbage. It goes without saying that focusing on nutrition should not be the focus of the Hajj, yet neglecting good nutrition can complicate your Hajj in many ways. 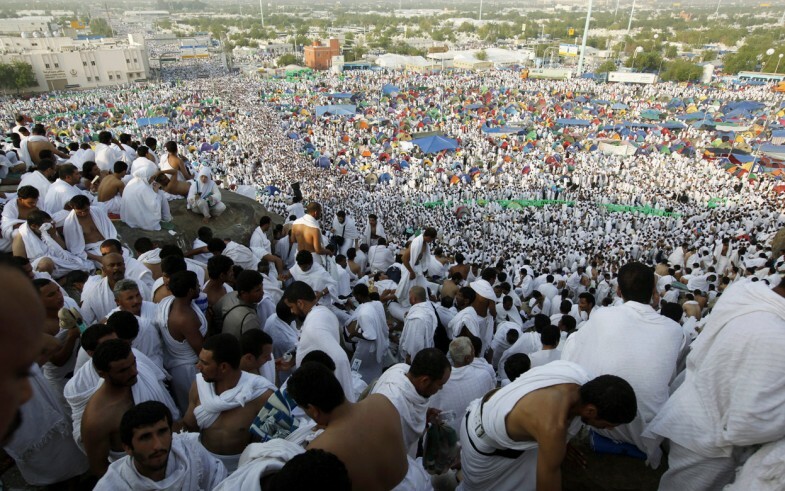 As the days lead up to the annual Hajj, may you be full of health and vigor and may your Hajj be accepted inshallah. The best of health to you and your families. The Healing Power of Green Tea and Turmeric.